These Colorful Glass Gandalf Pipes are the perfect party pipe for any smoker! Impress your friends by showing how wise and beyond your years you are with this pipe! 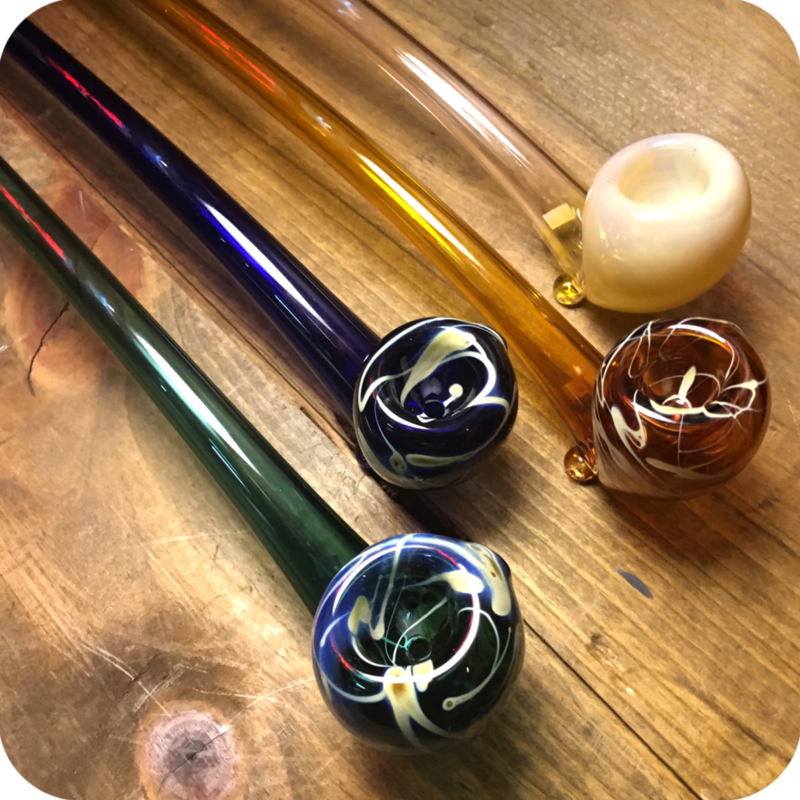 The piece is about a foot and five inches long, so not ideal for travel, but a great stay at home pipe as well as a conversation starter. 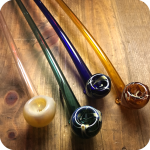 It was produced by Starfish Glass Design Products, a company that claims to be the home of the original Gandalf pipe. It features a very generous sized bowl, perfect for passing around with friends. To use, simply pack the bowl with your favorite legal herbs, or rolling tobacco. Cover the carburetor with one finger and light the bowl with your other hand as you begin to inhale. When it is time to clear the smoke, let go of the carburetor and inhale one last time. It is as easy as that! Keep this pipe cleaned regularly with some Formula 420 cleaner . Formula 420 Cleaner is a solution trusted by smokers all over the world, for glass pipes of all sorts. Keep this pipe regularly cleaned and maintained and it could last you a lifetime! Finally, do not forget to swing by either one of our three Brooklyn store locations to see what else we have to offer. 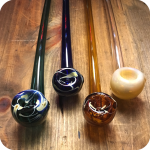 Categories: Glass Pipes, Large Glass Pipes. 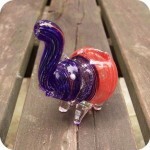 Tags: Colorful Glass Gandalf Pipes, gandalf, Gandalf Pipes.